We are a reputed Manufacturer and Supplier of Precision Injection Moulding Machine in Maharashtra. 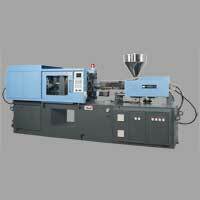 The Precision Injection Moulding Machine which we offer is duly checked on various parameters. Our Precision Injection Moulding Machine possesses sturdy construction, resistance to corrosion, and high molding efficiency. Available in different specifications, the Precision Injection Moulding Machine caters to diverse needs of the clients.